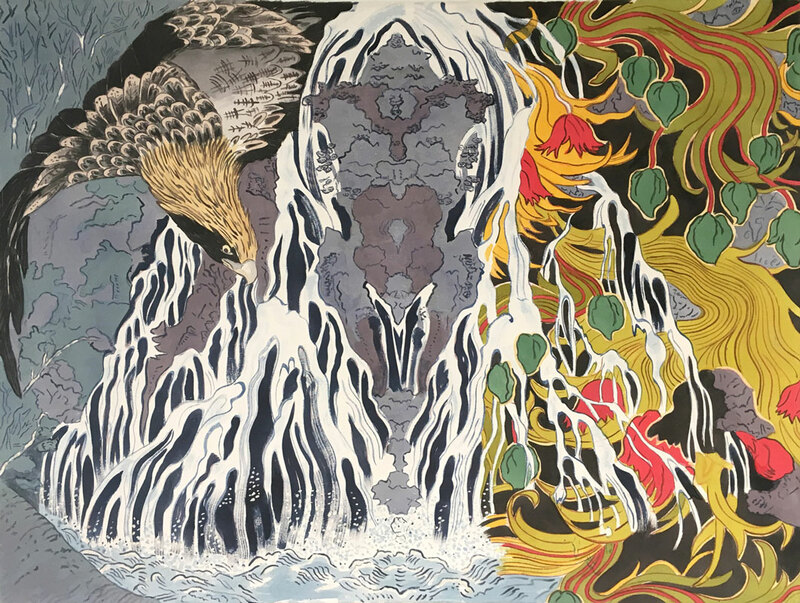 Displayed throughout the Museum’s new atrium, Global Convergences features eight recent paintings by Boston College professor of art Andrew Tavarelli (1942–). Weaving together a global array of visual motifs that span from the Middle Ages to the twentieth century, Tavarelli’s process is emblematic of postmodern bricolage, the practice of combining traditional objects and languages to glean new meaning. Cropped, twisted, and layered on one another, the familiar motifs in Tavarelli’s paintings flatten into a graphic and at times abstract surface of pattern and color. 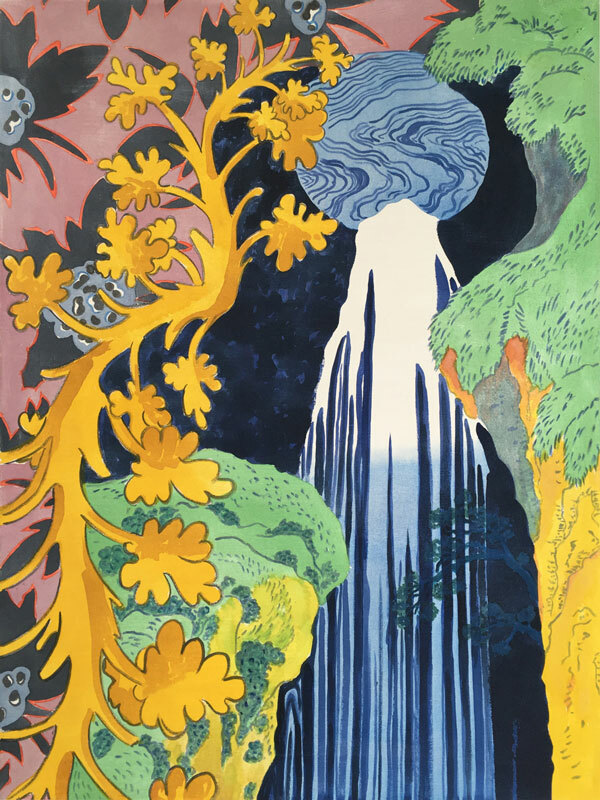 While the artist is loyal to the sources of his designs, his method of combination and placement reveals new or previously unnoticed spatial dynamics. 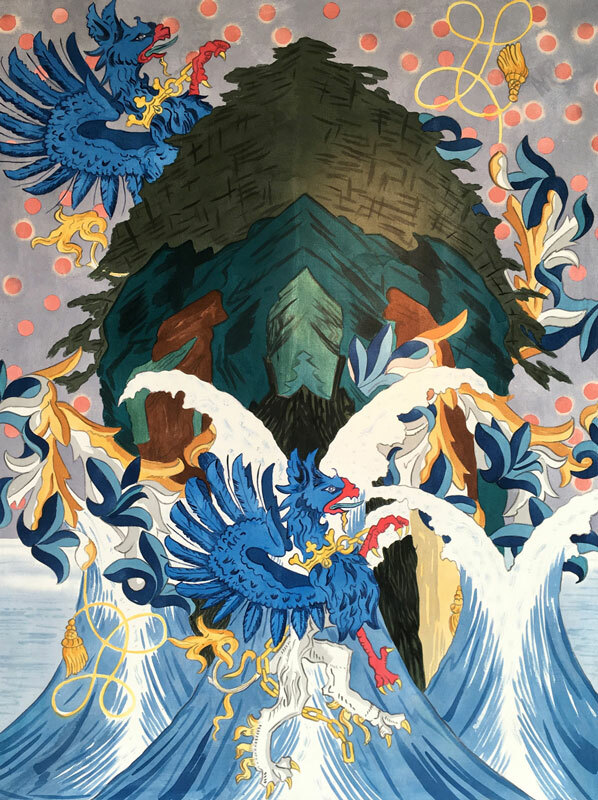 In Aviary (2010), the artist juxtaposes a heraldic emblem, the first Duke of Buckingham Humphrey Stafford’s (1402–60) “cygnet royal” (identified by a crowned coronet and chains around a young swan’s neck), with a mirrored rendering of a Katsushika Hokusai (1760–1849) section of landscape and water, an art deco metropolis, and an early twentieth-century flying pheasant. Similarly, in Perch (2012), Tavarelli pulls directly from Crane in Pine Tree at Sunrise (1850–55) by Japanese woodblock-print artist Utagawa Hiroshige (1797–1858), over which he paints a medieval coat of arms. An art deco floral pattern swirls in and out of surrounding pine branches. Tavarelli borrows many images and motifs from popular culture. 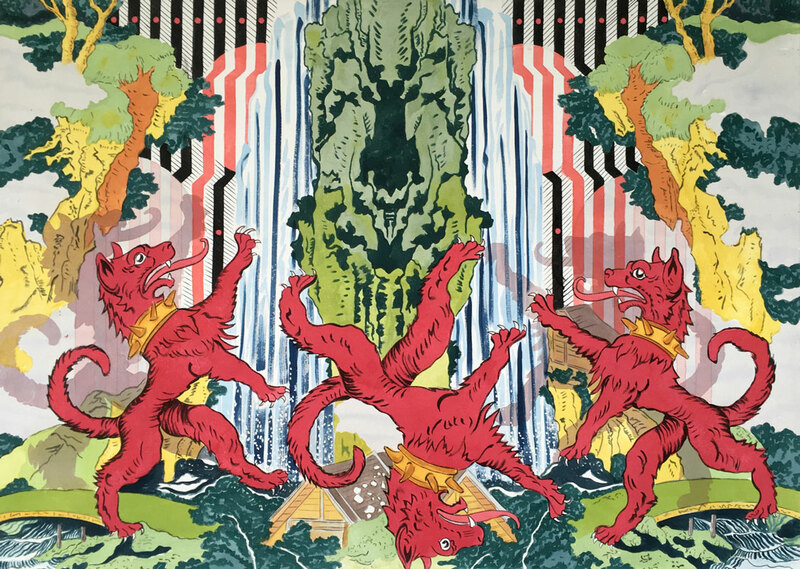 Both medieval heraldry and the flora and fauna found in Japanese ukiyo-e prints, for example, refer to specific people, places, and meanings that would have been easily recognizable at the time. Over the centuries their original meanings became obscure, even as they continued to resurface in visual culture. By repurposing them, Tavarelli paints a portrait of the contemporary worldview, a global era that trades in a vast visual lexicon of images and motifs from many time periods and cultures. 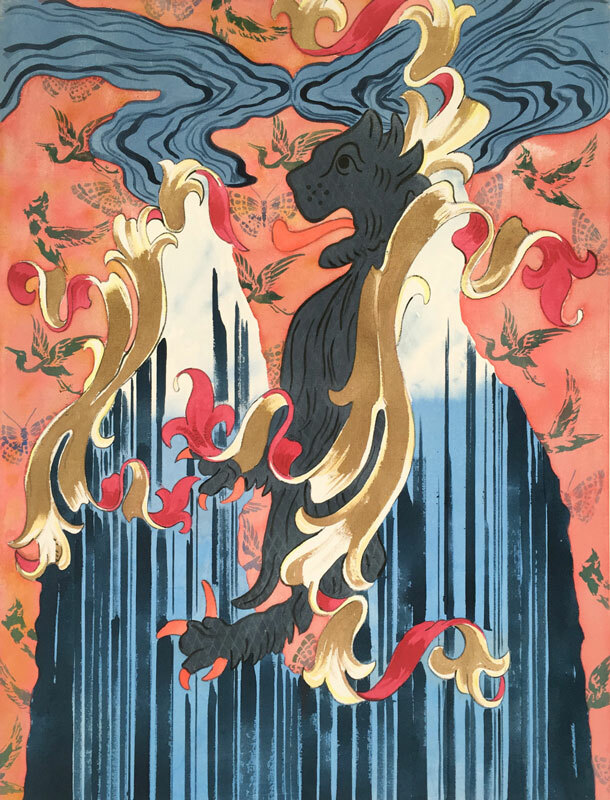 In more than twenty-seven solo exhibitions, Andrew Tavarelli has shown his work widely. His paintings have appeared in many group exhibitions including the Whitney Biennial and Painted in Boston at the Institute of Contemporary Art (Boston). His studio is in Boston’s South End.